Do you want dependable and affordable roofing in Tomball, TX? ECO Commercial Roofing can help you with each of your roofing service requirements, so shoot us a call at (833) 200-0571. Our expert roof contractors are skilled at delivering excellent roofing services, but we’re specialists in customer satisfaction. We have been commercial and residential roof contractors in the Tomball area for years, and our professionals are established members of our community. Our helpful roofers can offer a handful of solutions for your roof requirements, as well as answer any inquiries you might have. For professional, kind, and helpful roofers, you can always depend on ECO Commercial Roofing! Your roof plays a significant part in defending your house, so it’s of the greatest importance that you employ a roofer you can rely on. We ensure that all of our contractors are trained to the industry standards, and we only purchase supplies from contractors we can trust, like Conklin. Picking a roof can affect the price of your property, so we provide an extensive selection that allows you to determine your ideal option. Though aesthetics will play a major role in the roofing material you pick, make sure to think about the long-term value benefits, too. Additional factors to think about include your budget, and the kind of building that is requiring the roof. We have plenty of quality options to pick from. No matter what your needs are, from repairs to installations, our mission is to help you get exactly what you are looking for. Whether you want assistance with a business project, an industrial one, or a home one, we can serve you! When you own a business building with a typical style roof, our commercial offerings may be the services properly suited for your needs. Flat roofs require a certain degree of skill in order to ensure the longevity of your system, as well as enduring resistance to moisture, protection from ponding. Industrial roofs are similar to commercial roofing, but these roofs need specialized installation, as well as specific material requirements if you want them to last long. Finally, we additionally offer dependable and cost-effective residential roofing services in a wide selection of styles. 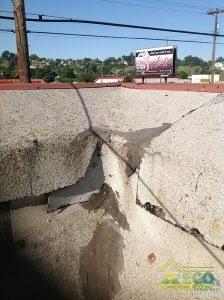 Every roofing company has a specialty, and ours is roof restoration along with roof coatings. We have decades of expertise with roof coatings, and we understand that using high quality products such as Conklin can make a major difference when a project is finished. If you need better roofing in Tomball, TX, you can rely on us to provide you with unmatched craftsmanship, and top quality services. If you are interested in discovering additional information about how roof restoration with Conklin products can prolong the life of your roof system, give us a ring now at (833) 200-0571, or look into the links provided! As experts, we often recommend roof restoration to our clients as a method of repairing your roof and defending it from further damages. Correctly done, one of our Conklin roof restorations can add an additional 10 years to the life of your roof! If you choose a roof restoration service instead of a roofing removal and installation, you’ll earn savings in your time and money! 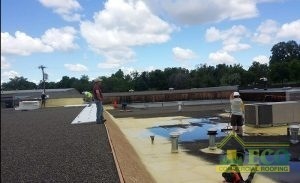 The bulk of our roof restorations are finished utilizing Conklin’s high quality roof coating products. You can rely on our contractors to help you decide which of our many roof coating options will work best for your needs. When picking a roof coating, we look at the original material of the roof, along with the kinds of damages that roof might be vulnerable to. Typically, we can also apply the roof coating without taking off the previous roof material. To discover more, call us now at (833) 200-0571! Acrylic Roofing Fluctuating temperatures call for dependable roof coatings such as acrylic, which are very flexible. We work with many kinds of commercial roofing options, such as flat roofs as well as low slope roofs. The best way to prevent leaking and punctures is to properly install the roof in the first place, which our experts can help you with. If you’re searching for a flat roofing solution that will endure for decades, you’ve come to the ideal company. Residential and commercial roof services from ECO Commercial Roofing are reliable and affordable. We not only offer our expert roofing in Tomball, TX, but also in the surrounding areas. Spending money on a reliable roof system for your structure will certainly benefit you later on in that business. Contact (833) 200-0571 with your questions, and let us know how we can best help you!